Did you know that the Department of Energy estimates that approximately 42 percent of a home’s energy bill is spent on heating and cooling? With just under half of your home’s energy consumption going toward your HVAC system, it’s important to ensure that you’re not letting your hard-earned dollars escape through the walls and ceiling. In today’s post, we’ll take a look at a few of the most common signs that your home is not as well-insulated as it could be. When you’ve finished reading today’s entry, be sure to request a free estimate from Insulation Pros of Colorado through this page! Even temperatures are a sign that your home has good insulation. For instance, you should be able to go from the kitchen to the basement, and then to the master bedroom, all without noticing a drastic difference in temperature. If you do notice that one room is particularly colder or warmer than another, then you should consider calling our insulation contractors for an evaluation. 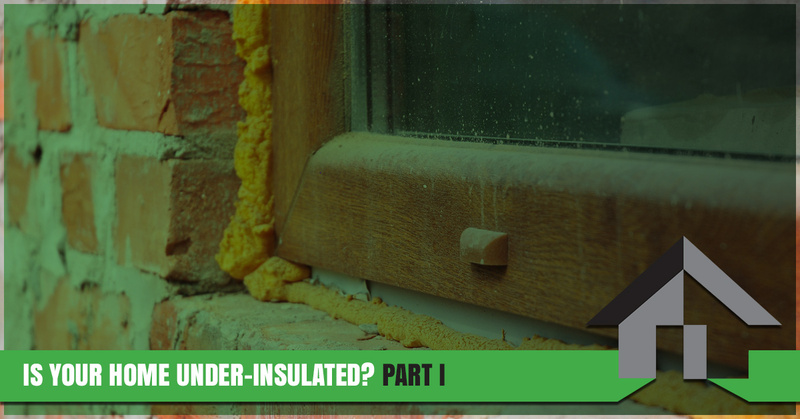 While the problem could be something as simple as a cracked window, you may need to invest in better wall insulation before the problem is resolved. As we noted at the outset of this post, your home’s energy consumption comprises a considerable portion of your monthly energy bill. If you’ve lived in your home for a significant amount of time, then you probably know what to expect when you’re heating your home in the winter and cooling it in the summer. Blown-in insulation around your home will settle over time and become less effective, meaning that your HVAC system has to work overtime to maintain a stable temperature. Give our Denver insulation company a call if your energy bills are increasing and we’ll work to find the ideal solution. In many cases, a simple touch test during the winter will tell you everything you need to know about your home’s insulation. Your walls and floors should be both dry and warm to the touch. You can also check the temperature of your ceiling, as long as you’re comfortable doing so. If any of the surfaces feel damp and/or cold, then the outside conditions are making their way in. Additionally, you can go outside and touch your exterior walls to see if your heat is escaping. Investing in an insulation installation is a smart decision that will last well beyond this winter, so don’t wait to give us a call if you can feel the winter creeping in through your walls, floor, or ceiling. Drafts are a sure sign that your home is not properly sealed. Like cold walls and floors, drafts are much more noticeable in the winter than they are in the summer. Chilly gusts are likely making their way inside through poorly insulated areas around your doors and windows, and a simple insulation installation is all that’s required to keep the temperature in your home stable throughout the day. 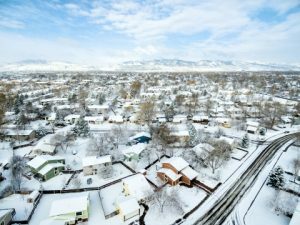 Insulation Pros of Colorado will provide you with a free energy assessment to help you pinpoint any areas that need to be addressed. Contact Our Denver Insulation Company Today! Stay tuned for part two of this ongoing series, as we’ll continue to provide you with even more signs of under-installation in the next installment. Insulation Pros of Colorado is proud to be a Top Rated Local® insulation company, and we would love to help you improve your home’s comfortability and increase its overall value. Fill out the form below to get started with an estimate! We look forward to working with you.